The Light Probe is designed to comply with the needs for QA in modern X-ray departments. With a monitor and a lux adapter the Light Detector measures the brightness on monitors and film viewing boxes, and the ambient light in the room. The Light Probe has the same spectral response as the human eye. That makes it reliable for all different types of measurements, independent of the light source. The spectral response complies with the CIE V(λ) curve. 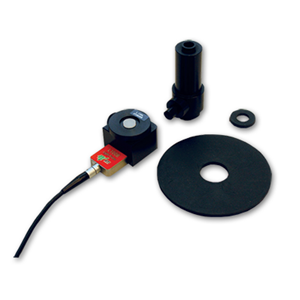 The Light Probe is designed to comply with the needs for QA in modern X-ray departments. With a monitor and a lux adapter the Light Detector measures the brightness on monitors and film viewing boxes, and the ambient light in the room. The Light Probe has the same spectral response as the human eye. That makes it reliable for all different types of measurements, independent of the light source. The spectral response complies with the CIE curve. The Barracuda Light Probe has the same spectral response as the human eye. That makes it reliable for all different types of measurements, independent of the light source. The spectral response complies with the CIE curve. To use the Barracuda Light Probe the Barracuda must have an electrometer module. Recommended model is EMM-BiasW. The Light Probe supports the Piranha ADI (Automatic Detector Identification) system. All information regarding the Probe is stored in a memory inside the probe. When connected, the Piranha automatically identifies the probe and makes all necessary adjustments without any need for interaction from the user. The Piranha ADI system also gives full interchangeability of probes between different Piranha systems using the same type of probes.